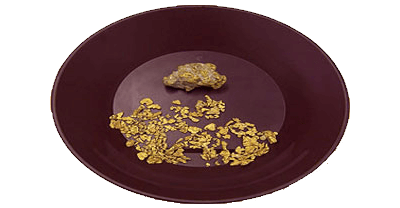 Be one of the first to display "First in Gold" on your vehicle! 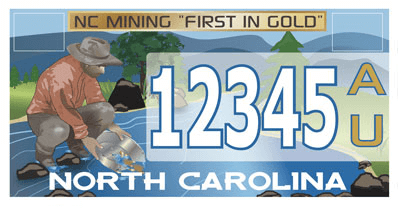 the NC Gold foundation are currently inviting fellow NC Gold lovers to join us in proudly displaying their pride with a beautiful NC License Plate showing the historic gold panning of the 1800's, with with the words "First in Gold" emblazoned across the top. The license plate costs as little as $20 per year on top of your regular tag fees. Currently we are looking for the first 300 people to sign up for the new license plate. Once this figure has been reached, the DoT will create the license plates, and later on make them freely available in every tag office across the USA. Where you lead, others will follow... Be the first to own "First in Gold"
Simply complete the details below. You will then receive an email with the application form attached, which when completed you return to the address on the form. It's as simple as that! 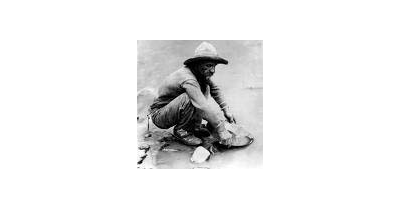 Thanks for supporting our heritage! Please check the box below, if not the form resets.